uPVC sliding sash windows from Immaculate Home Improvements are an attractive modern replica of traditional wooden vertical windows. Retain a period English look with your Bournemouth home, choose an appearance that time has almost left in the past. 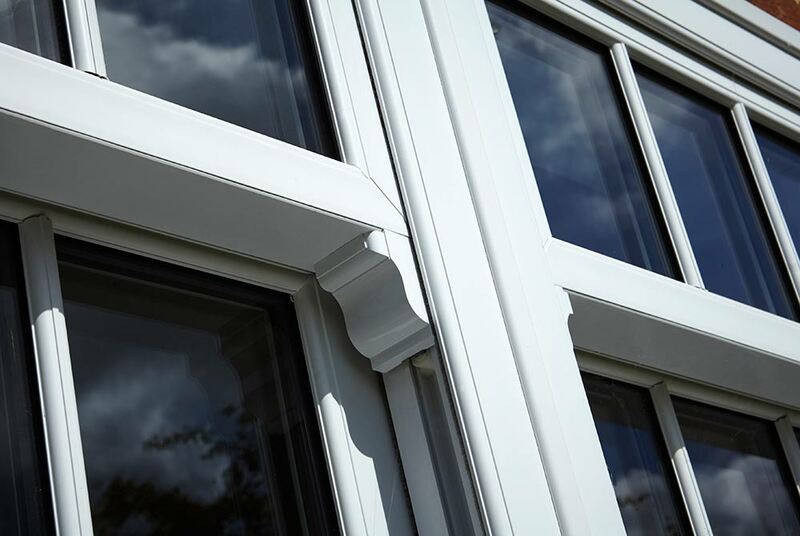 Originally, uPVC sliding sash windows were made from timber. Relying on complex pully mechanisms to operate the window. The problem with timber windows is that they can easily become a victim to the cold and wet British weather. 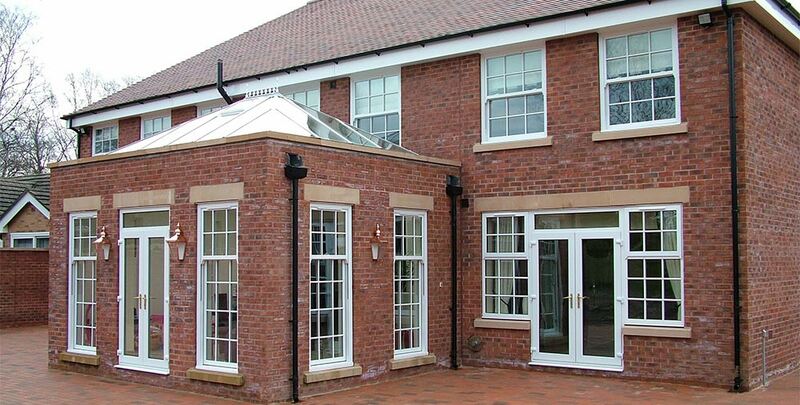 Our modern vertical windows are manufactured from quality uPVC, designed to never crack or misshape. Once installed your uPVC sliding sash window will require little to no maintenance in order to retain its appearance, and performance. Our uPVC sliding sash windows look fantastic, and are hugely practical. Plus, an added tilt functionality gives our design an edge over other manufacturer options. Specialist hardware helps retain an authentic appearance. Decorative sash horn and astragal Georgian bars are available. Our sliding sash windows are amongst the most security-focused double glazing options available. Designed to offer complete protection when either partially open or closed. Immaculate Home Improvements use the highest grade stainless steel in our modern locking systems. One of the main attractions of sliding sash windows is ventilation control. Set the sliding sash window at a precise level for controlled airflow through your Bournemouth home. Our clever locking systems ensure the window cannot be opened further from the outside. uPVC sliding sash windows are Secured by Design accredited. Police approved home security. To help reduce your monthly energy bills, these compact window systems are designed to drastically reduce your energy bills. We use thermally focused glass combined held in place with a sealant that runs around the perimeter of the glass. Lowering your expensive energy bills and carbon footprint. Immaculate Home Improvements offer our supply and fit service for uPVC sliding sash windows throughout Southbourne, Bournemouth, Christchurch, New Forest, Sandbanks, Poole, Lymington, Boscombe, Wimborne Minster, Corfe Mullen and surrounding Dorset towns. If uPVC sliding sash windows would complement the existing aesthetics of your home in Bournemouth, get an online quote. Your free online double glazing price is just two minutes away. For more information on uPVC sliding sash windows, please get in touch with one of our friendly team members today. Send us an email or give us a call on 01202 427700.